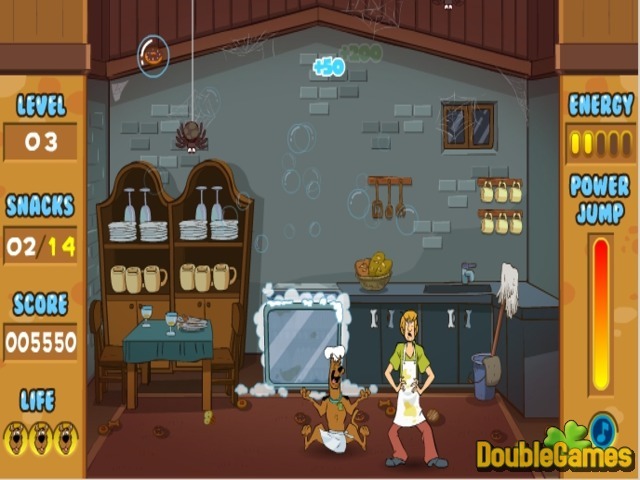 After the dishwasher broke, all the delicious food of Scooby Doo and his master named Shaggy was covered by the bubbles! 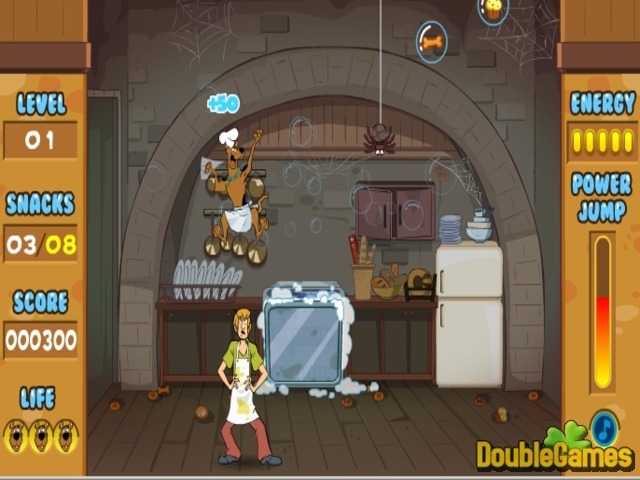 Help your favorite characters get back their precious snacks in new exciting and hilarious online game Scooby Doo's Bubble Banquet! Place Scooby Doo on the shoulders of his master and catch the flying bubbles with the snacks. Be careful and try not to fall, otherwise you'll have to do everything all over again. Start playing Scooby Doo's Bubble Banquet totally for free right now complete all the levels or the characters will remain hungry forever! Good luck! 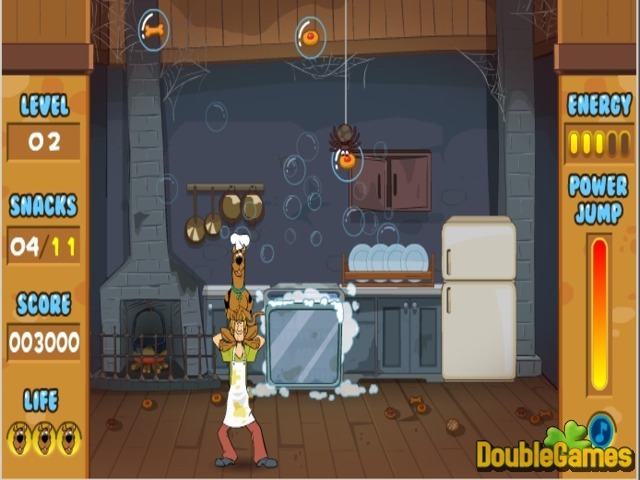 Title - Scooby Doo's Bubble Banquet Online Game Description - Take a break with Scooby Doo's Bubble Banquet, a Movie Games game published by GameGape. Help your favorite characters get back their delicious snacks!